You need to create an account at https://www.teslender.com. You can then create a special code that starts and expires on a set date and time that you can give to someone who is borrowing or renting your vehicle. 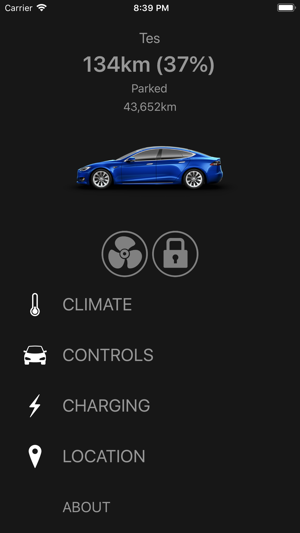 The advantage over the official app is that you never need to give renters your Tesla account password, you can automatically revoke access after a certain time period, you can provide access to only a single vehicle (if you have more than one), and you'll be able to limit access to certain features. You could prevent renters from setting the charge limit past 90%, for example. In addition, charging events and speed and location will be logged. 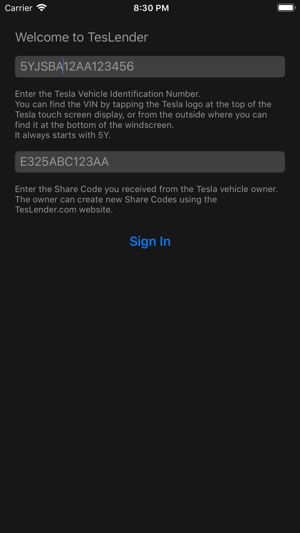 You will be able to use this app in combination with an access code created by the owner to use most of the functions that the official Tesla app provides - and more. 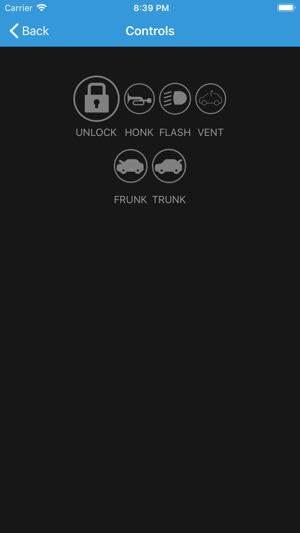 - Open trunk and frunk, also quickly from the notification. Please give me feedback and let me know of any features that should be added! Added super quick login using QR codes. Can now increase and decrease temperature. Added a countdown timer when you don't have access to the vehicle just yet.